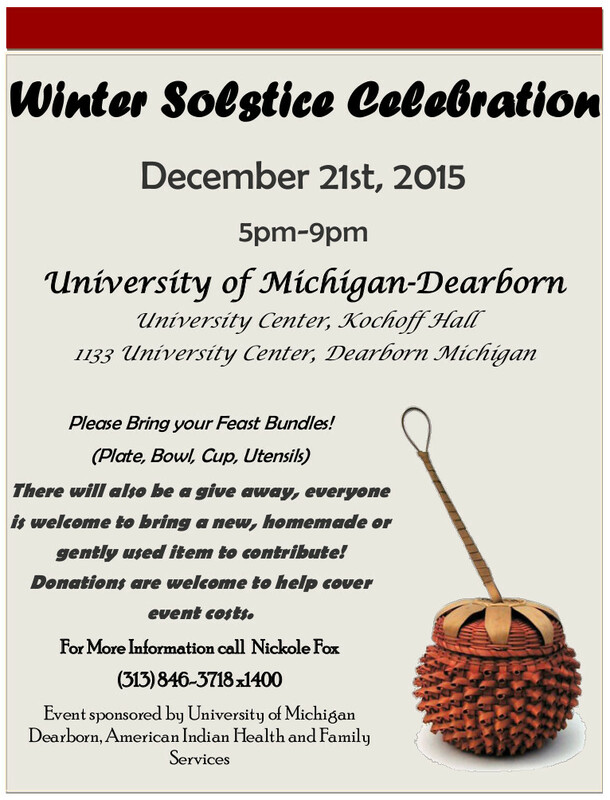 Monday, Dec. 21st, we will be having our annual winter solstice celebration at the University of Michigan-Dearborn Campus. University Center, Kochoff Hall, 1133 University Center, Dearborn, Michigan. 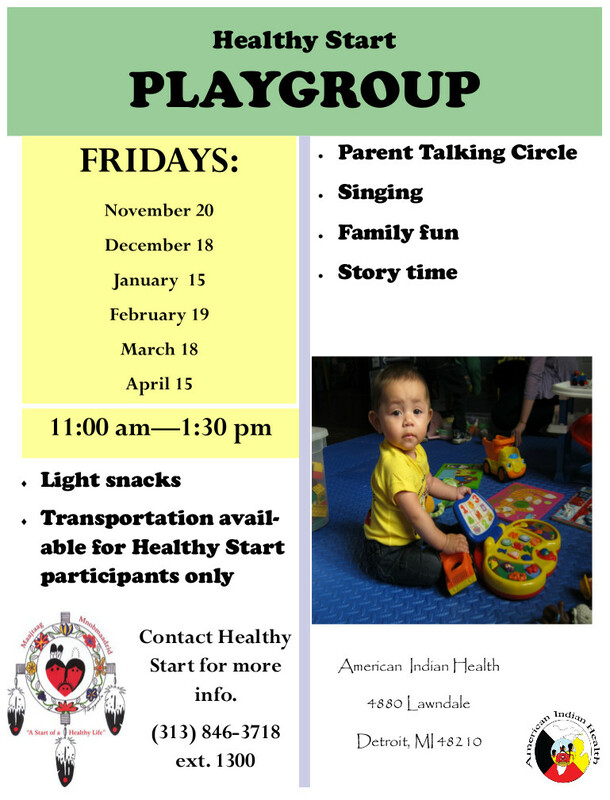 Parents and young children are welcome to join us for our December playgroup on Friday, December 18, from 11am-1:30pm. We will be making holiday dough ornaments, eating special holiday-themed healthy snacks, having our parent talking circle, and of course playing! Please call the Healthy Start office for more information. December 24th, 25th, 31st and January 1st. We hope everyone has a great holiday! The North American Indigenous Student Organization of Michigan State University is proud to announce its first logo contest for this year’s 33rd Annual Powwow. This year’s theme will be: Reuniting the Three Fires. Submissions due by December 13th, 2015.